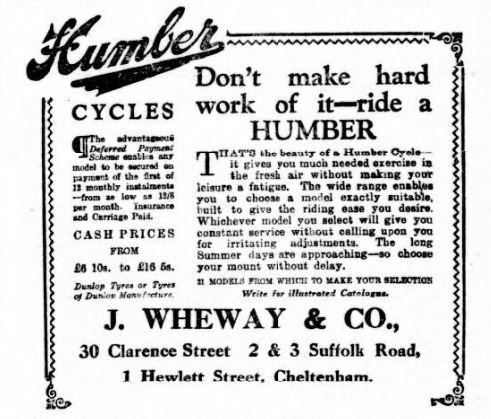 ​In June 1914 Wheways started their new pram depot at 2 & 3 Suffolk Road, alongside the bicycle business. 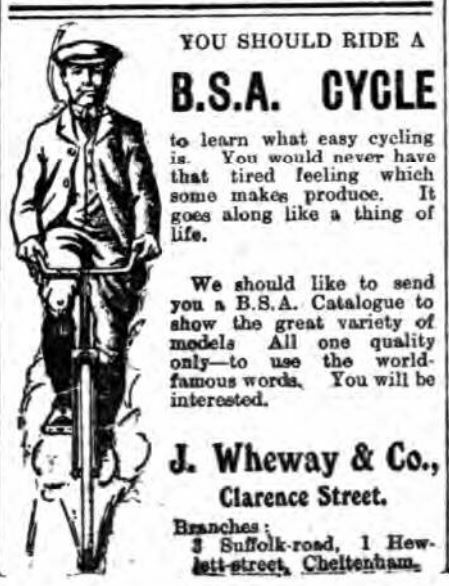 At the outbreak of the Great War, in August that year, they hired out bicycles. For many years to come this would be both a cycle and pram depot. In the early 1930s the company sold portable gramophones and records alongside the cycles and also hired out wheelchairs. 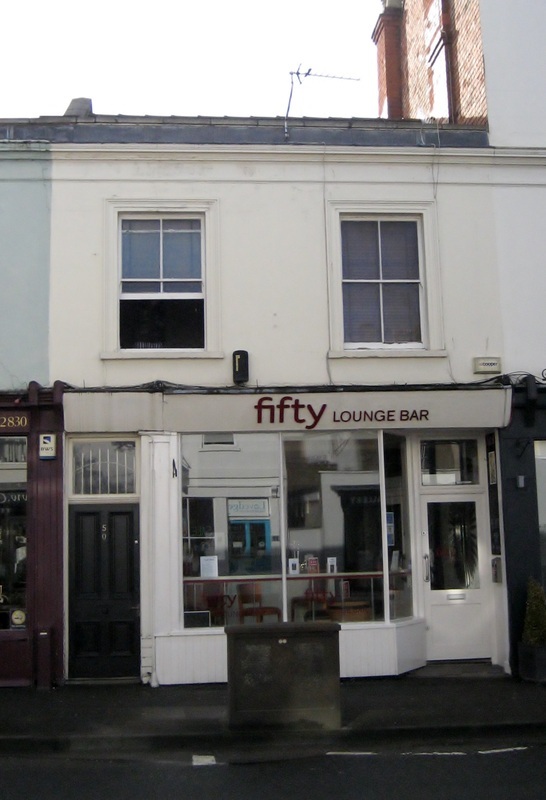 The street was renumbered in 1934, when this property became 60 & 62 Suffolk Road. 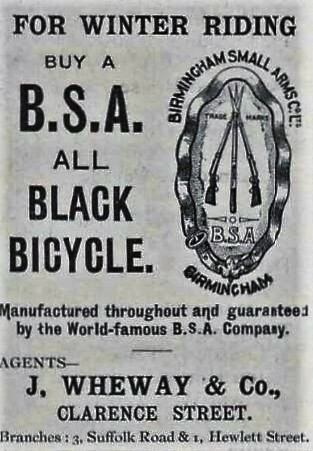 ​The Wheway business in Suffolk Road seems to have been sold in about 1937 to Mr S.A. Toms and ​Joseph Wheway died on 28th October 1938, aged 75. Mr Toms also died, in 1946, and the company passed to G. Toms. However the Wheway name continued to be associated with the shop for many more years.